NO relationship is perfect. No matter how much you love each other and no matter how many things you have in common and agree on, there is always going to be something that one person will do to bother or annoy the pet peeves other. This has nothing to do with love, but more based on the fact that when two individuals merge their lives together, there are bound to be times when they will clash. You may feel like “one”, but you are still separate people with minds of your own and not everything about your partner will appeal to you, regardless how much you love each other. Nagging - okay, we all feel the need to complain every once in a while, but when complaining becomes the main theme of your verbal expression, it becomes defined as nagging, and no one likes a nag. Nagging, to most, is annoying and frustrating and makes the person being nagged to like they can’t do anything right and they eventually grow tired of it and either leave the relationship or block out the nagging and stop caring. Lying - No one appreciates being lied to- especially when the lies are trivial, unnecessary and constant. It is very frustrating for a person to have to deal with a lover who constantly lies about every little thing. Not only is ot annoying, but makes one wonder if there are bigger lies that they are not even aware about, creating major trust issues in the relationship. Drama Queen - We are all capable of having bratty moments and taking center stage, but there are some people who always need to be the center of attention and make a huge production out every little thing. This usually become very irritating over time and makes the other partner feel like he/she has to walk on eggshells, making the relationship very unfair. Indecisiveness- Not being able to ever make a decision and sticking to it is very frustrating. A couple should be able to openly communicate and make decisions together. Both partners need to put their input on things and let the other know what they want, rather than never making a decision and leaving their partner to make all the decisions in a relationship. Promise Breaking- Nothing is more irritating and hurtful than a person who makes promises and breaks them over and over again. 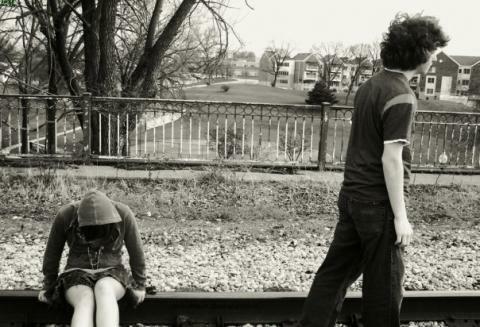 It shows lack of consideration for the other’s feelings and also means the person cannot be trusted or relied on. Do not make promises you feel you may not be able to keep, because besides being annoying, it also ruins character.